Windows XP (Professional or Home edition), Windows 2000, Windows ME, Windows95, Windows98, Vista Home or Professional Platforms, Windows 7 or Windows 8. MAC users will need to have a current OS X version with .exe download abilities. At least 64M system memory — 128M system memory is recommended. At least 10M hard disk space. We suggest you use this on a broadband cable/DSL connection with 128K minimum speed for optimum performance. However, this will work on a 56k dial up as well. You will just need to wait longer for the TV channels to buffer (download). When will I receive access to your service? Immediately after you have paid you will be redirected to our Web site members’ area. It has all the information you need. Simply copy your username and password and access the site at your leisure. If you are not directed there after payment, e-mail us at Support@i-PCTV.com and we will assign you your login. Are there any additional costs or recurring payments? No, absolutely not! You only pay a one-time fee. There are no additional costs or monthly subscription payments. Also we will not to try to sell you additional stuff or upgrades once you are a member. How long has WatchTVonPC.tv been in business? i-PCTV.com has been in business since early 2005. How do I watch the TV and can I view in full screen? Channels will open conveniently in either Windows Media Player or Real Player, and some other viewing software. See our answer on Software a little further down on this page. You will be able to view all the TV channels on your computer or laptop in full screen. Many of the channel viewers we provide will have a button to allow you to view in full screen, and if not we will give you details on how to do this. What type of sports can I watch? We have a special LIVE! SPORTS section in our members’ area to allow you to view live and recorded sports from all over the world. You will be able to watch soccer, cricket, rugby, professional basketball, football, baseball and hockey. Are there lots of sports matches for me to view? Yes, at least 100+ events in all different categories are shown every single week. Are the TV channels and radio station available 24/7? Not all the channels we provide are available 24/7. Sometimes some channels will go off the air for a brief time. However, with 6,000 channels to choose from you will find there are more than enough channels available at any given time. Yes, absolutely! You are granted access to open gateways which is not illegal. We have simply captured all of the Internet, Satellite TV and radio stations broadcast publicly through these gateways and placed them into special viewers for your access. What do I get for the membership I pay? As soon as your payment has been processed, you will instantly receive our full service package. Just follow the program and service directions provided in the members’ area to download the needed software. How many channels are included in the package? Our service package comes with over 6,000 channels from all over the world including local, regional and international broadcasts. And when we say 6,000 channels, we mean it, unlike others. You list some channels on the home page. Are there any more? The channel list we show on our home page is a SMALL SAMPLE of what is provided. You will see many popular channels from all over the world. We have many more that are not on the list we provide with this program, not to mention all of the movie downloads and sporting events provided that are not on the list. The only problem with our service is that we will not be able to list or locate channels for you. With this many channels I think you would understand why we cannot list all the channels provided. What software do I use to watch the streams ? Windows Media Player, Real Player, and Quicktime are the most common. If you currently do not have any of these we provide all the applications to download from our own software area for FREE! Our service can be accessed from any PC or Laptop in the world. What is the quality of the picture? The quality of the picture will be determined primarily by the quality of your computer’s graphics card (most important), monitor (computer screen), available hard disk space and amount of memory. Your Internet connection can have some effect depending on your ISP (Internet Service Provider) but this is not usually a problem. If your computer has a decent graphics card and meets the requirements we listed above then you should not have any issues with viewing quality. Can I watch this on my TV? The broadcast will be sent through the Internet to your PC or laptop. You can transfer the signal to your TV set if you choose. To do this will require a special plug and/or converter box. More current computer graphics cards will allow you to simply use a plug from your computer to your TV. If you have an older graphics card it may require both a special converter box and plug. These, of course, are not included with this service; however, in the members’ area we will provide all the details and places where you can purchase these items if you choose to transfer signal from computer/laptop to your TV set. The prices for these items range from $5.00 for a plug to $30.00 for a converter. Of course! This is what sets our service apart from all the rest. You don’t just get an outdated software program, you get always updated channel viewers, additional channels, etc. You will see we update our site often, and more channels are being added weekly. What if I am not happy with your service or it does not work on my computer? We offer a 30-day money back guarantee for ANY REASON. Whether you are unhappy with our service or if you find it is not working on your computer simply contact us and we will refund ALL of your initial member’s fee. We will not try to sell you on another program or give you any hassle. Basic Service – Approximately 30 to 40 TV channels provided. 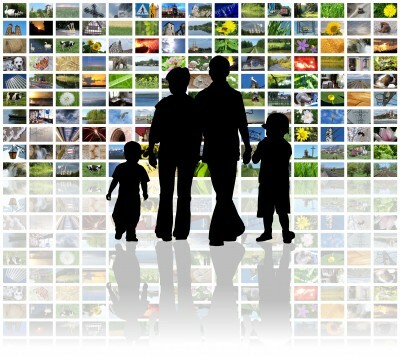 Premium Service- Approximately 300 to 400 TV channels provided. Premium Package Approximately 300 TV Channels provided. 6,000+ TV channels and radio stations provided. $34.95 ONE-TIME price. * – Costs are approximate and are based on an average of many different service providers.